This piece is an etude. It is in the key of A major, which has three sharps. The time signature is 3/4. The piece features many arpeggios. The duration of the music is 1 minute and 15 seconds. Music for the purpose of an improvement in technique have been published for many centuries. These works used titles such as "lesson" or "study", and then later "etude". Some examples of such books include John Dowland's "Varietie of Lute Lessons" and Johann Sebastian Bach's four volumes of Clavier-Übung (keyboard practice). These books often contained pieces in order of increasing difficulty. 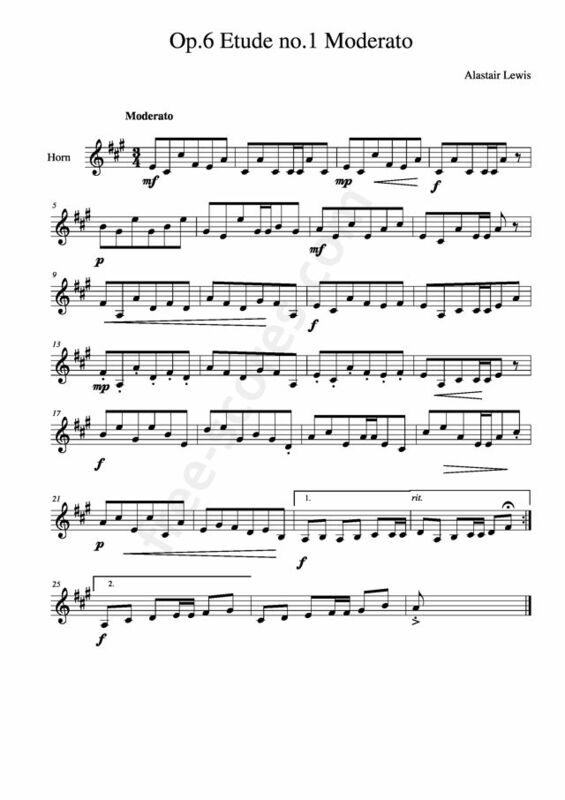 This free sheet music is for solo french horn.